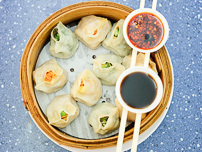 Dumplings are the current passion of the half-arsed Chinese restauranter. We've seen a bunch of Dumpling Kings and Dumpling Houses open and fade away. These were pretty much Aussie-style Chinese restaurants with a few dumplings slapped amongst the banana fritters, cashing in on that dumpling fad that still lingers from a couple of years back. 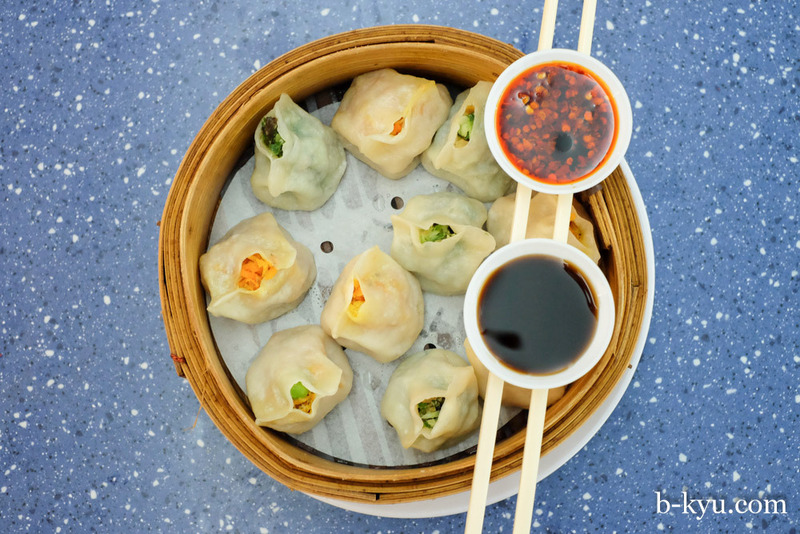 Because hey, even skinny white girls like dumplings. We wonder if the same people owned frozen yoghurt stores. So we weren't keen to hear the much-loved Kimama Kitchen in Eating World Food Court was replaced with a dumpling stall a few months back. 'Yawn' was our collective response. But we are cursed with a weird compulsion to try every food court stall in Chinatown, so we give Oriental Dumpling King a go. Begrungingly. After all our whinging we got to quite liking Oriental Dumpling King. The dumplings and noodles are handmade by super tops aunties, right in front of your very eyes. We liked the handmade noodles in particular. 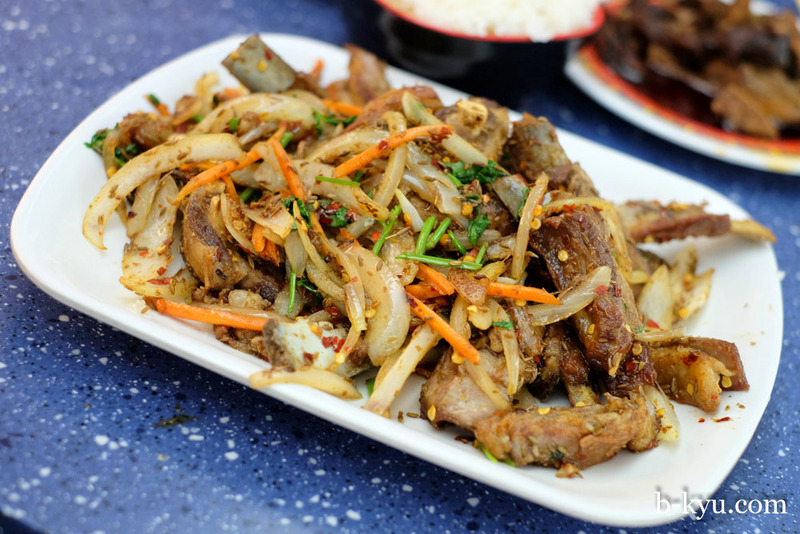 They do some stir fries that are a little different and have a couple of good cold side dishes. It's all a bit same same but different. But same same. We have an inkling they're playing to the crowd rather than their strengths. A couple of times we happened to visit when the staff sat down for their lunch, which looked amazing, way more exciting than anything on the menu. "We'll have what they're having!" Beef in spicy soup - $9. Lovely chumpy handmade noodles. 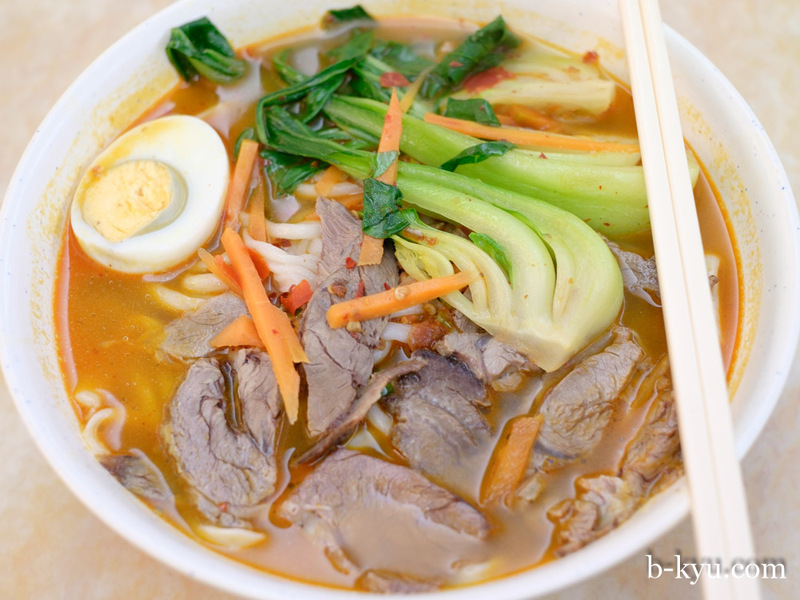 A mildly spicy broth that tastes of lamb but looks like tomato, and leaves a comforting orange ring around the bowl. Loads of noodles, too much almost, a good dosage of Chinese greens and some carrot slivers. 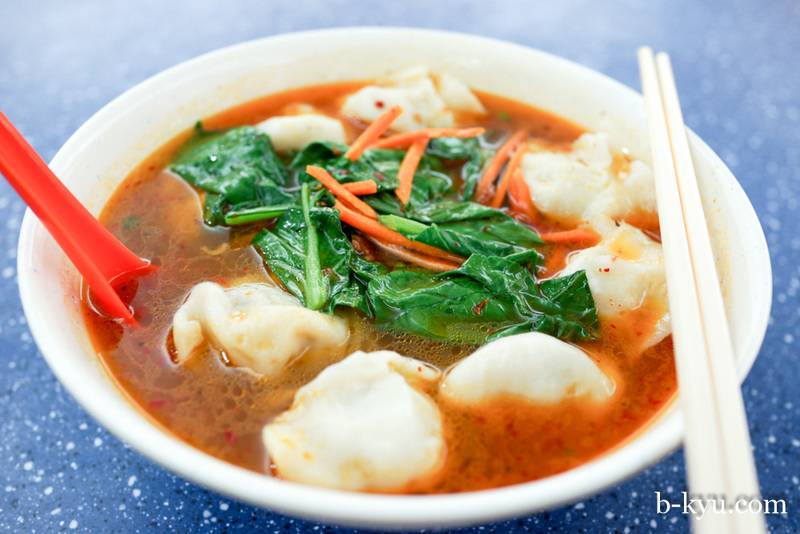 Dumplings & noodles in spicy soup - $9.80. The broth is similar to the beef soup above, it's more heat-hot than spicy-hot, it's not so exciting at the start but comes together by the time you hit the bottom of the bowl. This soup comes with eight handmade dumplings and a good handful of chumpy handmade noodles, with some veggies to make nanna happy. This is a big soup, a real hunger buster. 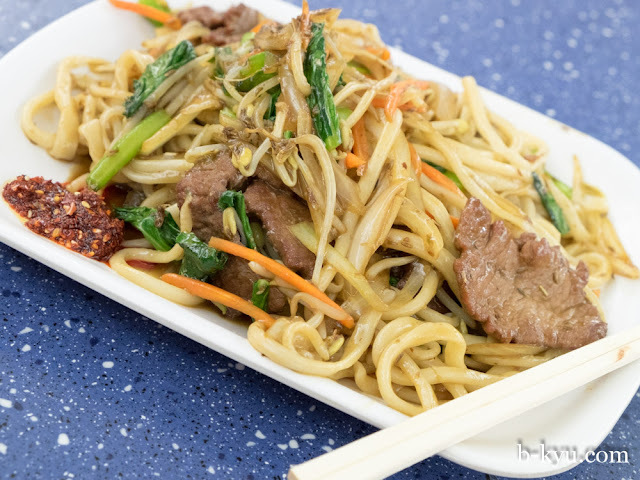 Fried noodles with cumin lamb (or chicken/beef/vegies) - $9. Cumin lamb noodles is a dish that often disappoints, it's often under-spiced and over-sauced but this one is a surprise beauty. There's a nice cumin spice hit to it and the noodles are handmade and toothsome. Add a blob of chili and a good schplozzle of vinegar. Large pork and cabbage wonton in red chili oil - $8.80. The wontons are nice and fresh and bouncy but the sauce is sweeter than hoped for, almost BBQ sauce sweet. The sauce was great on it's own, but we'd prefer straight up chili oil in this dish. The Chinese hamburger is worth a crack. The filling is excellent: a splodge of moist, sweet shredded pork, razzed up with some fresh coriander and chopped green chili. The bready bun is ok but nothing compares to the killer 'pita pancakes' around the corner at X'ian Cuisine, they own that dish like Mamak owns roti. ...it's what on the insides that counts, right? 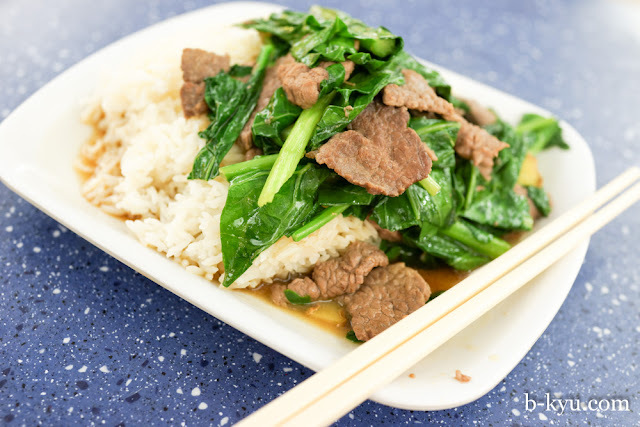 Chinese broccoli with beef on rice - $9.80. A plain stir fry that's not so exciting until you add a good dollop of that chili sauce at the counter, then blammo, it's magic. Spicy beef salad - $4. Sliced beef (brisket?) in a pool of sauce with sweet notes of five spice, served cool. This is a great side dish, highly recommended. 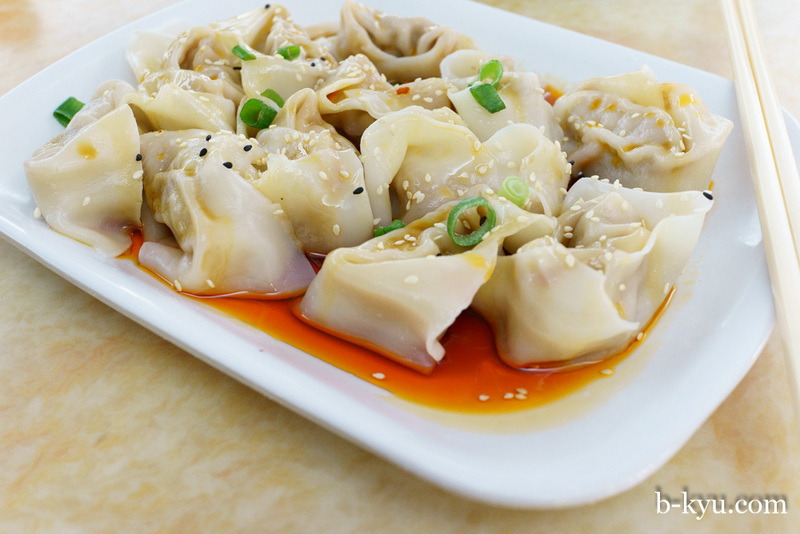 Steamed flower vegetable dumpling - $8.80 for ten pieces. Veggie dumplings in two flavours: one tasting of spinach and the other of carrot, the latter reminded us of an old Aussie school salad roll. These were light and tasty but didn't have that subtle magic in the mix of veggies we hoped for. Good value all the same. 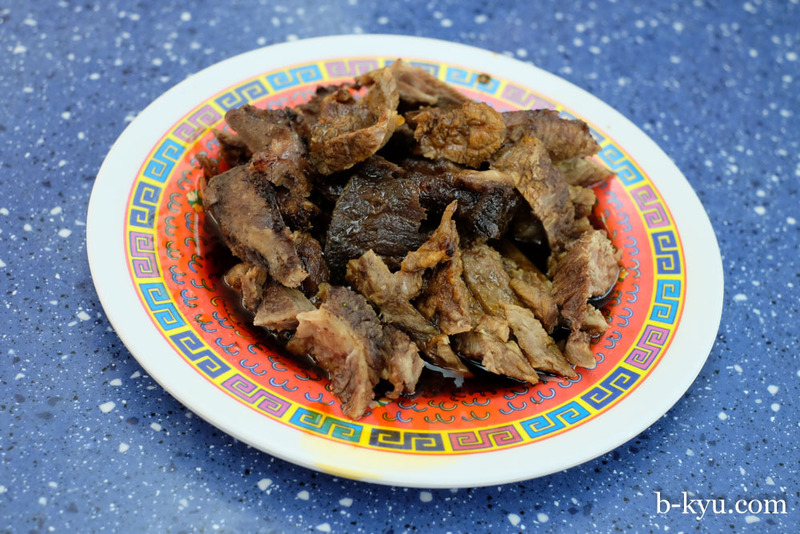 Flavour fried lamb ribs with cumin - $10.80. Lovely fatty lamb chop flavours with cumin and a lovely mix of slightly raw onions and carrots. We liked this version of one our favourite dishes, very well priced too. 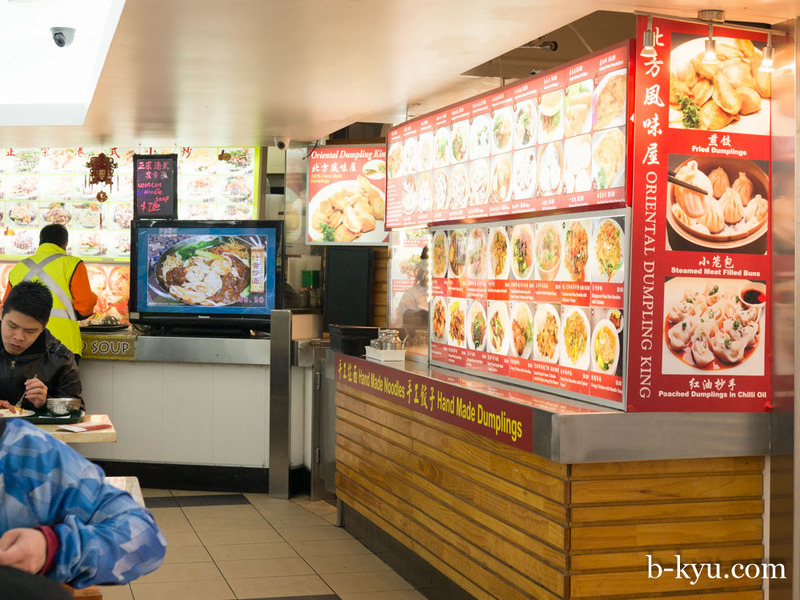 Oriental Dumpling King is in the Dixon House Food Court, Eating World Food Court is at 25-29 Dixon St, Haymarket\Chinatown.